NEILAND BRISSENDEN/GLEANER NEWS Honest Ed’s is slowly crumbling, as excavators have begun to pull down the west building from the rear to make way for a mixed use development at Bathurst and Bloor streets. 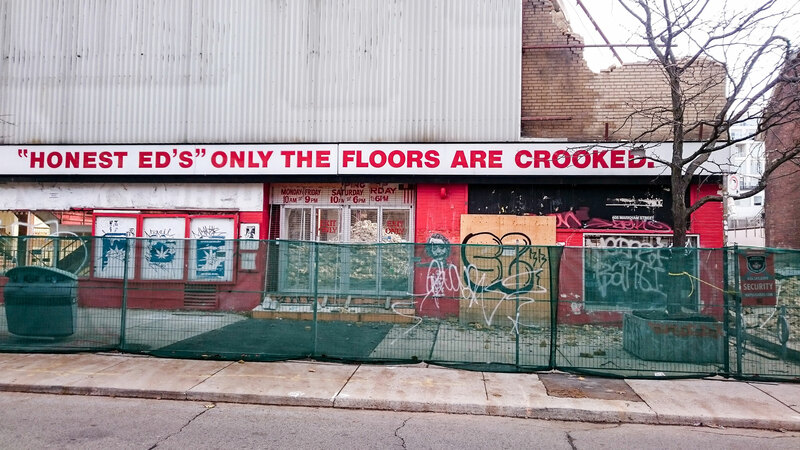 Ed Mirvish built this part of his store over existing houses, which is why the floors were crooked. 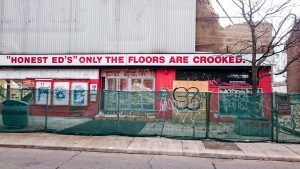 The developers are preserving 27 buildings on Markham and Bathurst streets, and will incorporate them in the development.